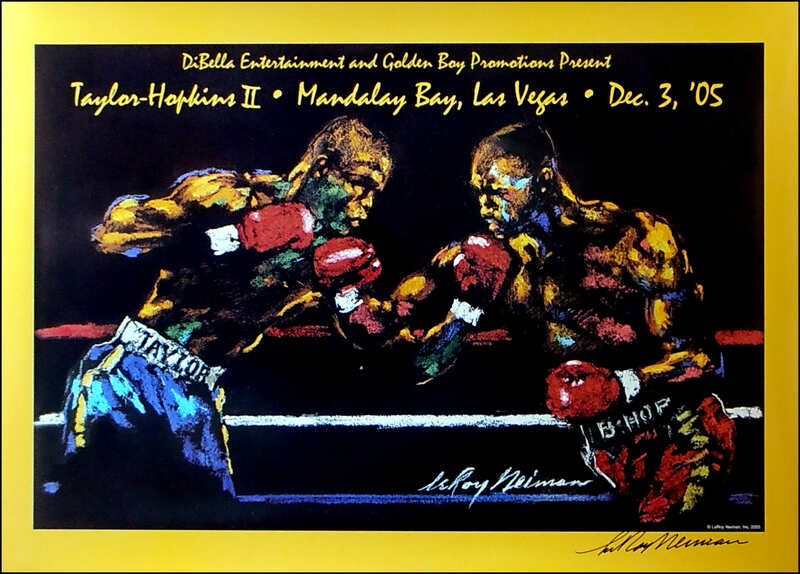 Description : Here we have an original autographed Leroy Neiman onsite fight poster, only available at the event for the mega fight at the MGM Grand Las Vegas for the Undisputed Middleweight Title. 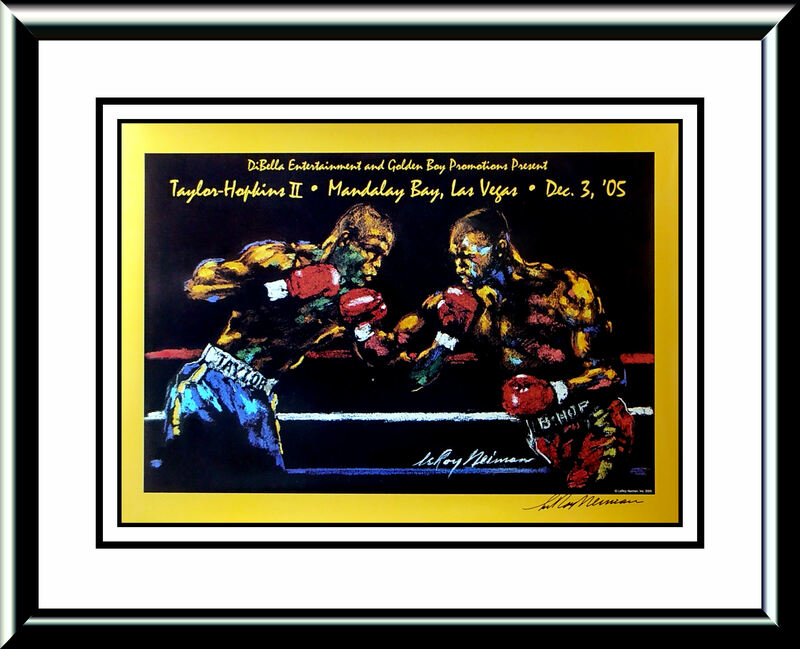 After the controversial decision from the 1st meeting where Taylor took Hopkins coveted Titles, a rematch took place on 3/12/2005 at the Mandalay Bay, Las Vegas. Taylor had vowed not to chase Hopkins (46-4-1) around the ring in the early rounds like he did in the first fight, when he ran out of gas late and barely held on for the win. He kept to his word, much to the displeasure of the crowd at the Mandalay Bay hotel-casino that booed the lack of action in the first few rounds. Hopkins did even less in the early rounds, and it cost him the fight. One judge gave Taylor the first six rounds and the other two gave him five of the first six, putting Hopkins in a hole he could never recover from." judge: Dave Moretti 113-115 | judge: Chuck Giampa 113-115 | judge: Patricia Morse Jarman 113-115. 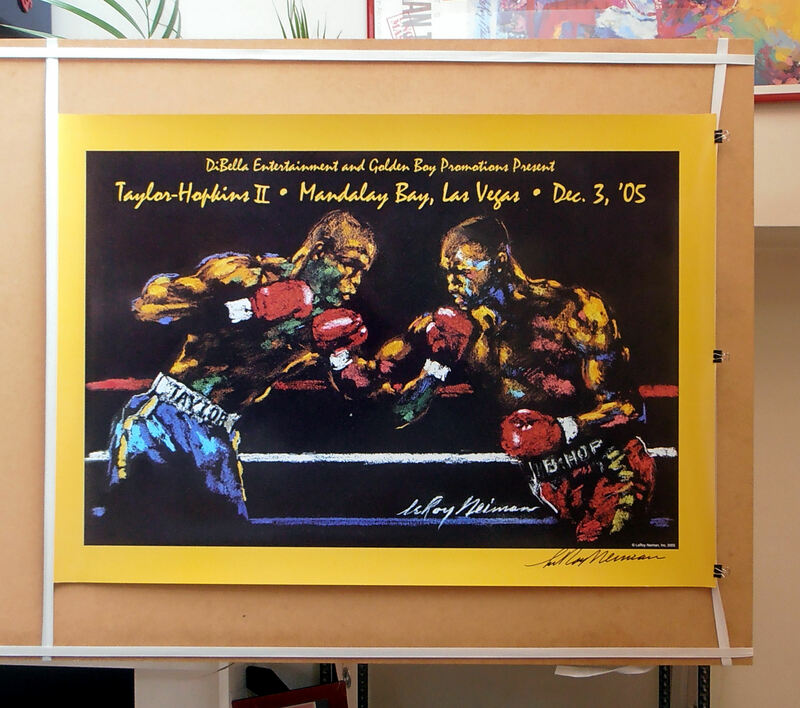 This authentic Leroy Neiman signed onsite poster from the Mandalay Bay Las Vegas, is accompanied with a lifetime guarantee of authenticity from KOfightposters. Postage: £10.00 UK Special Delivery... £20.00 International.